These sparkling margaritas are so festive, so perfectly tart and bubbly, that I decided to write a little short story about them. I’ll let you read it if you promise not to laugh. You’ll catch on soon enough that I spend a lot of hours of my life reading children’s stories to my babies, and if you’re in the same boat as me, I bet you’ll be able to identify which story this little tidbit is inspired by. If you give a girl a sparkling margarita, she’s going to want some chips and queso. She’ll go to the store to pick up some cheese, and while she’s there, she’ll see some rainbow sprinkles. It will remind her of her favorite confetti ice cream cake, and she will end up wanting to make it. She’ll buy her queso and sprinkles and then head home to begin baking. While she’s waiting for the cake to bake, she will call a friend to come over for a visit. They’ll sit and chat, laughing over toasty mugs of coffee and cream. And because a cup of coffee isn’t the same without treats to enjoy it with, she will pull a few confetti scones out of the freezer for them to enjoy together. Of course, seeing the sprinkles will remind her of the cake in the oven, which by now has baked a few minutes too long. The girl will curse her oven and dump out the cake, saving a few crumbs to munch on (because even burnt cake is better than none at all, right?) All of those sweet bites will make her crave something salty so she will heat up some tacos from the night before. She’ll need lettuce, tomatoes, and maybe even a sprinkle of cheese, which will remind her of her chips and queso. And chances are, once she starts eating her chips and queso… she’s going to want a sparkling margarita. The end. “Mercy, someone get this girl out of the house.” I can hear you all now. Yes, it’s probably a bad sign that children’s literature has infiltrated so deep into my thought processes, but the truth remains that if you give this girl some Mexican food, she’s absolutely going to require a marg. So let’s cut to the chase and chat about these sparkling margaritas. This recipe was inspired by a menu item on one of my favorite local Mexican restaurants. Their cocktail menu spans an entire page, but there’s always a few standouts for me, namely their “St. Rita.” A blend of sour mix, St. Germaine, tequila, and cava, the St. Rita is indeed heavenly. Wanting to enjoy a sweet and fizzy beverage from the comfort of my own home, I started testing recipes and I am thrilled with the outcome. 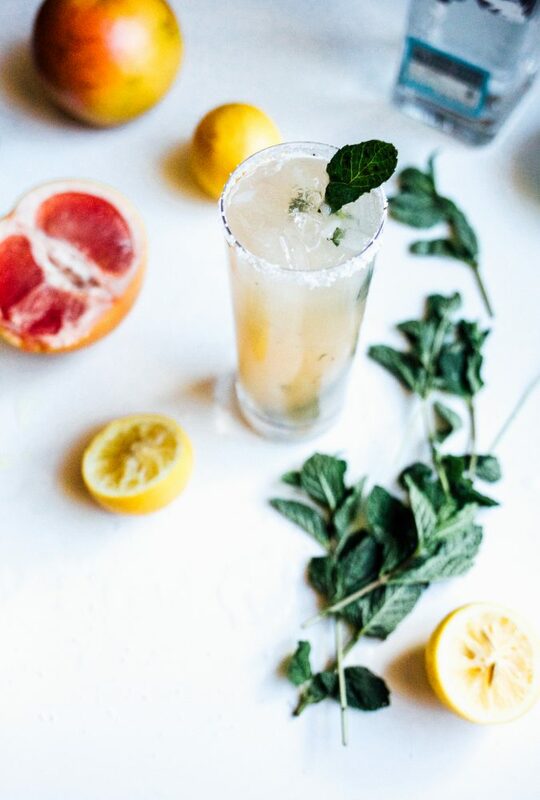 These sparkling margaritas start similarly to your average marg. 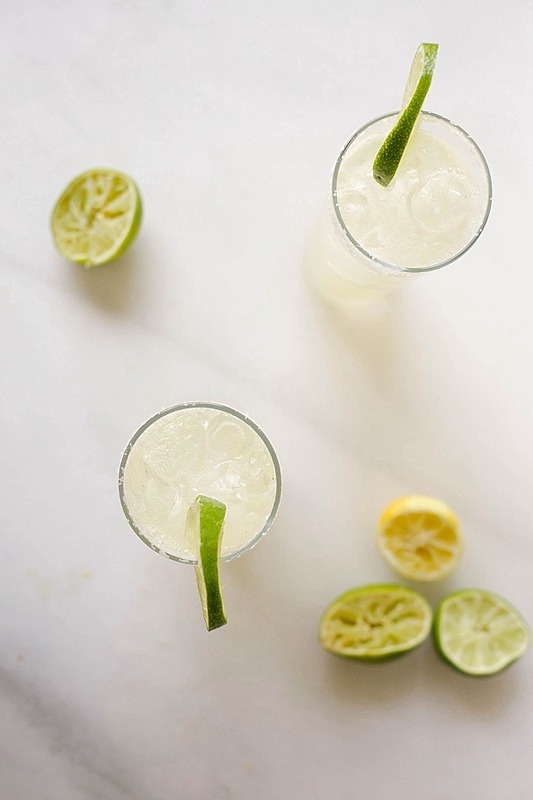 Fresh squeezed lime juice, tequila, ice… you know the drill. 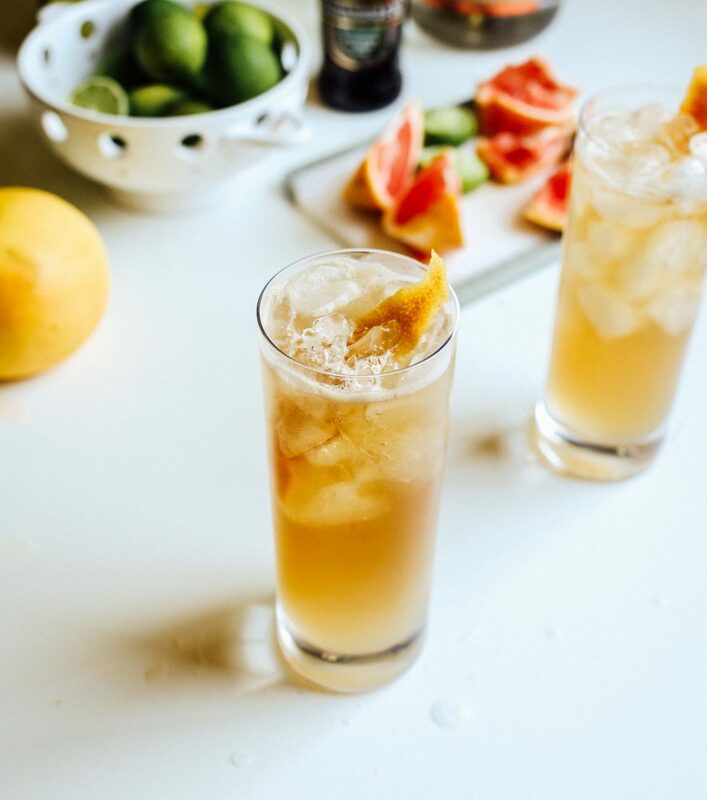 We add elderflower liquor for a sweet and floral punch before the whole thing gets shaken to oblivion in a cocktail shaker. Once everything is icy and suspended together in that frosty shaker, it gets poured into a salt-rimmed glass and topped with a few ounces of sparkling wine. At first taste, these sparkling margaritas are perfectly sweet and sour, with effervescent little bubbles that make each sip feel like a tastebud fiesta in your mouth. Pure magic. 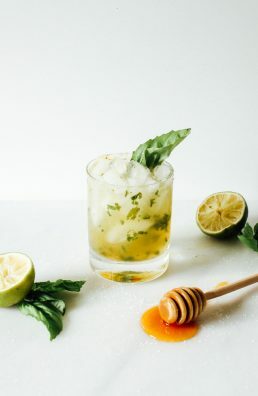 I’m one of many bloggers who will be sharing margarita and tequila-filled recipes over the next few days for Margarita Week. Kate from ¡HOLA! JALAPEÑO has organized this boozy round-up of recipes to ensure that your Cinco de Mayo party is nothing short of delicious, so I hope you’ll check out the other sites involved. If you’re looking for an extra bougie (in case you’re wondering, Mom, that means bourgeoisie), South-of-the-border beverage, these sparkling margaritas are the way to go. Pinkies out and enjoy! I’ll be sharing an additional recipe this week on Friday along with a round-up of Mother’s Day breakfast menus, so love your mama and check that out! 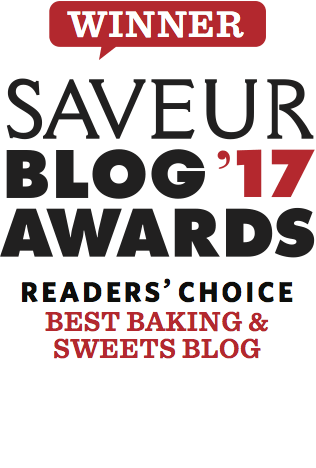 As always, you can sign up to receive blog posts straight to your email, so if you haven’t done that already, now is the perfect time to do so. Have a great week and Happy Cinco de Mayo! 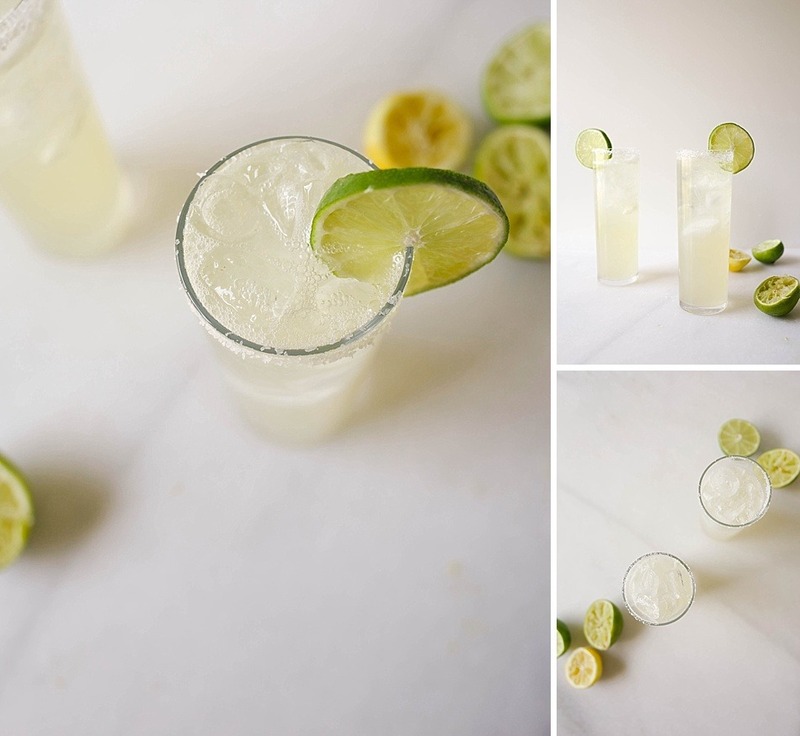 Sparkling margaritas are a sweet and bubbling version of the classic cocktail, flavored with elderflower liquor and champagne. Combine the lime juice, elderflower liquor, tequila, and simple syrup (optional)in a shaker and fill with ice. Shake vigorously for about 30 seconds. Pour the contents of the shaker in a tall glass and top with the cava. Stir gently and enjoy! Serve with a salted and sugared glass rim, if desired. I prefer a dry sparkling wine for this recipe. If you prefer a sweeter cocktail, add the 1/2 ounce of simple syrup. This is optional and should be used according to your taste. St. Germain, cava and tequila! I mean seriously I cannot get better than this! 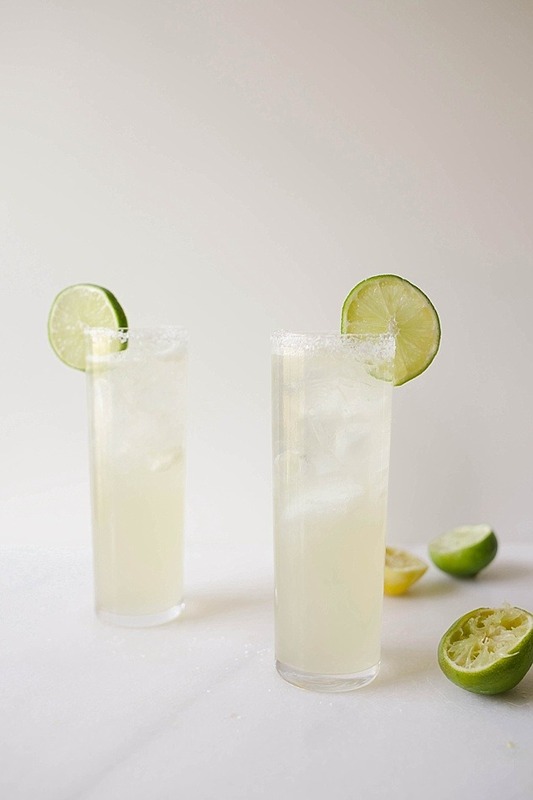 Love this sparkling margarita from you Kate! I feel like if we were neighbors we would be best friend. We do Give a Pig a Pancake on repeat. Aimee loves it. You’re such a good mama!! I’m dying! This is too funny :). You definitely deserve a margarita when If You Give a Mouse a Cookie is so stuck in your brain! 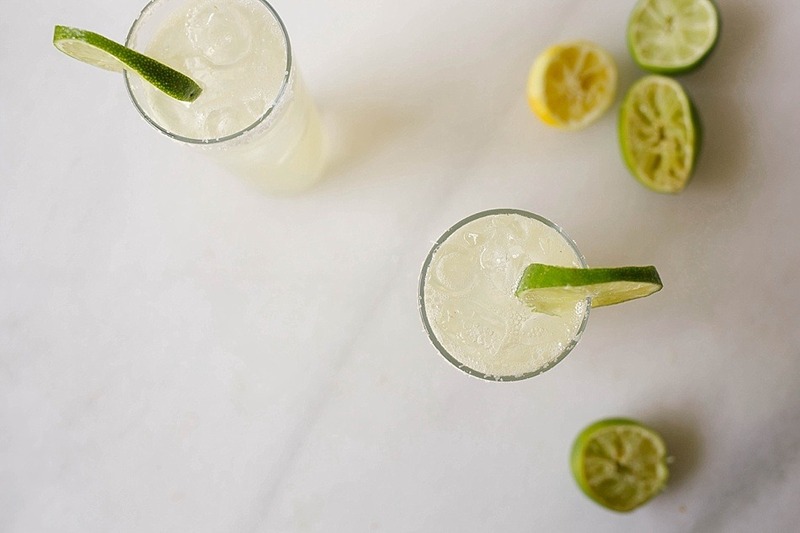 These margaritas look DELICIOUS–and they’re my favorite so I don’t say that lightly. Happy Wednesday! I’ve got my pinky out and I’m ready for an endless parade of these beauties. Perhaps if I would have ordered one of these bougie sips in Capri the Mr. would not have shot me a horrified look. P.S. I kinda dig the little story. It eerily reminds me of my own life. Kate I am going to make these for the Spring Fling Tennis at Heathrow Country Club and I will be sure to share some with your precious Mom. 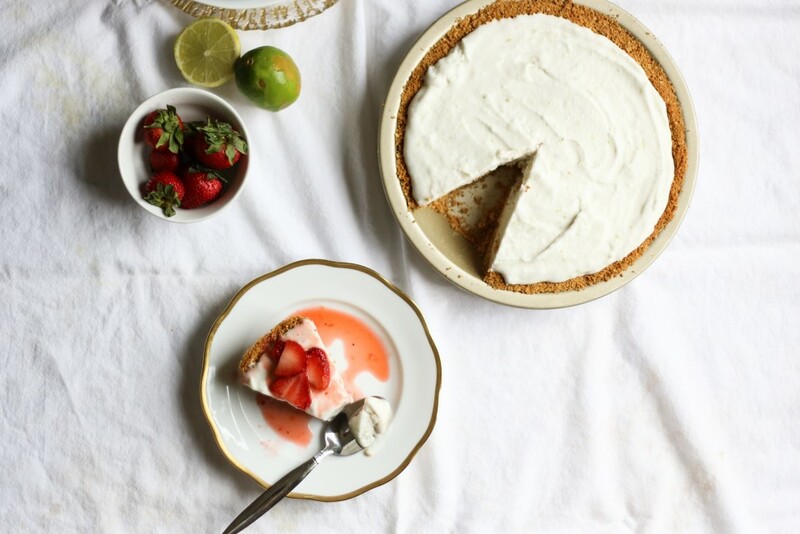 And by the way I have made the Lime Ice cream pie and it was fabulous . 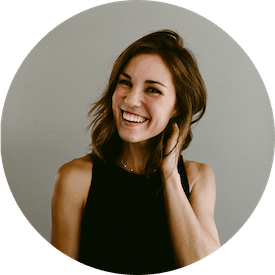 Kate- thank you for hosting! I can’t wait to try some of the other recipes. All this talk of margaritas is really making me crave some chips and queso….